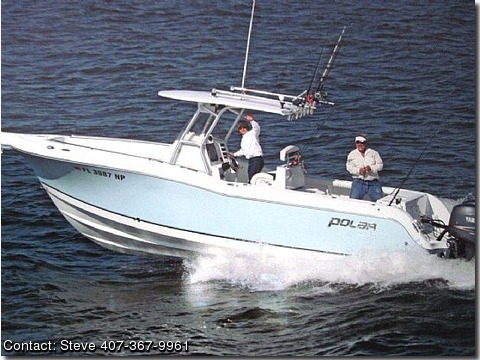 Boat Owners Notes: Call Boat Owner Steve @ 407-367-9961.
abundance of fish fighting features. insulated fish boxes and they are very large to store the fish you keep,. room to store your gear and has five in deck storage boxes. brakes and this trailer has not been put in the water. West 3 times and used the boat all week. staying down there and we fished every day. where to where you started from.